A new research report by Citi Research asserts that bitcoin and other digital currencies should not be viewed as a disruptive threat to banks, credit card networks or traditional remittance providers, but rather as a potential complement to existing services. Published today, the 56-page report argues bitcoin and digital currencies are better equipped to open up new markets and reach new consumers, and that today’s centralized payment systems are already efficient enough for today’s commerce. Still, Citi does see opportunity in using a public blockchain. Notably, the report found bitcoin and digital currencies could be impactful in emerging markets, where payments systems are not as developed. “In countries where there is no quality payments infrastructure, we do think there could be some opportunity for an open decentralized network like bitcoin,” the report states. Elsewhere, the report sought to apply a critical eye in determining whether bitcoin’s characteristics have benefits for payments. For example, the authors stated that they don’t necessarily believe immutability, or the incorruptibility of bitcoin’s blockchain, is well-suited for money movement. The report went on to mention a number of specific blockchain and bitcoin startups, while providing overviews digital currency and blockchain networks including Ripple, bitcoin and ethereum. In remittances, long claimed as one of the biggest areas of impact by enthusiasts, the report found that the UK-based money transfer service TransferWise remains cheaper to use for cross-border payments today. Of note, however, is that the report graded bitcoin against account-to-account remittance option and TransferWise in 10 remittance corridors, finding that it was only the lowest-cost option in one corridor, money transfers from the US to New Zealand. 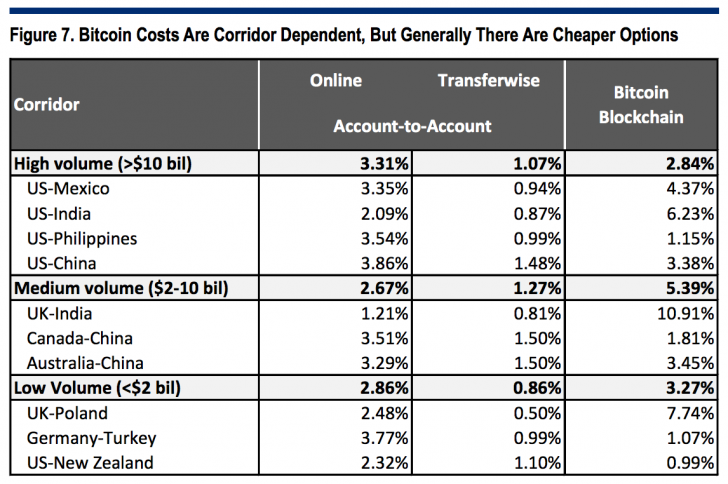 In outbound corridors from the US, bitcoin was found to be cheaper than account-to-account options only in US-to-China transfers. The report estimated fees on these transactions at 3.86% for account-to-account transactions and 3.38% on bitcoin transfers. By contract, fees for TransferWise payments cost just 1.48%. The researchers also pointed to the high cost of converting bitcoin into fiat currency and the low liquidity in existing markets as challenges it believes the system will need to overcome. More broadly, the report sought to challenge popularly held conceptions about the bitcoin network, including its use in existing financial business models. “We believe an open network like bitcoin combined with mobile, machine learning, big data and the Internet of Things has the potential to create radically new models,” the report reads. 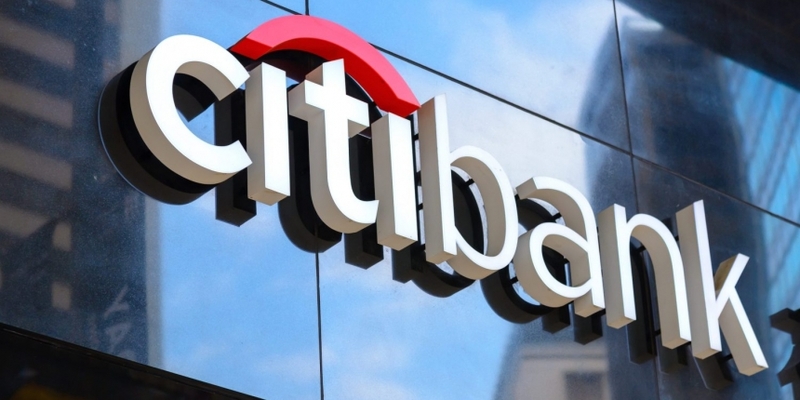 Citi, for instance, said there is a “misperception” that bitcoin provides a system for frictionless transactions, while disputing that running payments through its blockchain would continue to be low-cost long term. “Since the network incurs substantial energy-related costs due to proof-of-work, we believe that these costs will eventually be borne by the users through high transaction fees, which will make it more expensive than centralized networks,” the report contends. In other areas such as speed, scalability and resiliency, the report argued bitcoin and digital currencies don’t necessarily have advantages. It went on to call payment systems “resilient”, while questioning that bitcoin’s network could scale to support a larger number of transactions.